Skin cancer remains the most common form of cancer in the U.S. It was estimated that more than 2,000,000 Americans were diagnosed with skin cancer in 2012. 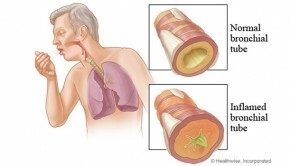 And the annual growth rates are increasing rapidly, which has become a major health concern in the public. Skin cancer is caused by the abnormal growth of the skin cells. Usually it develops on the skin that has exposed to the sunlight, such as face, neck, hands or legs. But it can also occur on other areas of your skin without exposure to the sunlight. 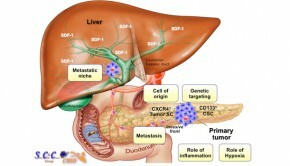 Skin cancer, which forms in the tissues of the skin, is usually named after the type of skin cells from which it rise. Skin cancer that forms in the lowest layer of the epidermis is called basal cell carcinoma, and it is the least dangerous one. 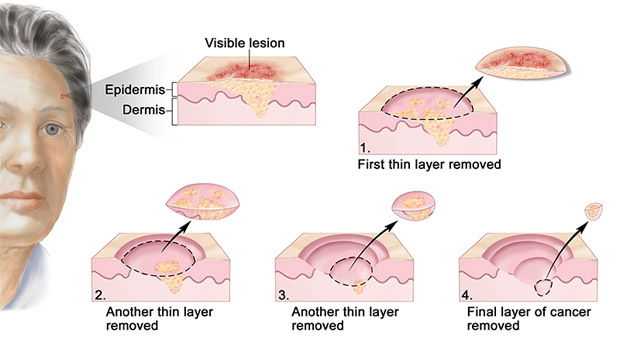 Skin cancer originated in the middle layer is called squamous cell cancer. This one is less common and can be fatal without proper treatment. The least common type of skin cancer is called melanoma. 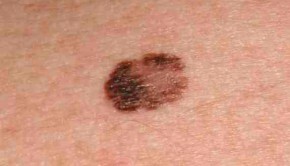 Melanoma forms in melanocytes (pigment-producing skin cells), is very aggressive and can be fatal if untreated properly. As the most common type of skin cancer, basal cell carcinoma usually occurs on the sun exposed skin. 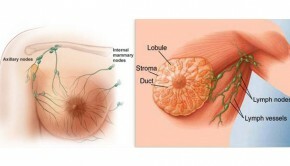 Tumors may appear as raised, smooth, pearly or waxy bumps on the head, neck or shoulders. And sometimes the small blood vessels are visible within the bumps. Or it appears as flat reddish patch surrounded by brown border. 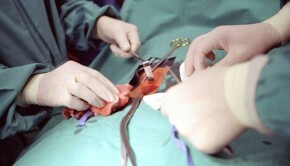 It may also present as a scar-like lesion. Basal cell carcinoma can cause bleeding, and even ulceration. But don’t be panic, since this type of skin cancer is not fatal and it can be cured completely with proper treatment. The second most common form of skin cancer is squamous cell carcinoma. In most of the cases, it results from an actinic keratosis on the sun-exposed skin, but it can also develop on irradiated sites, burned skin or vaccinated scars. Usually squamous cell carcinoma is red, scaling, thickened patch on your skin. 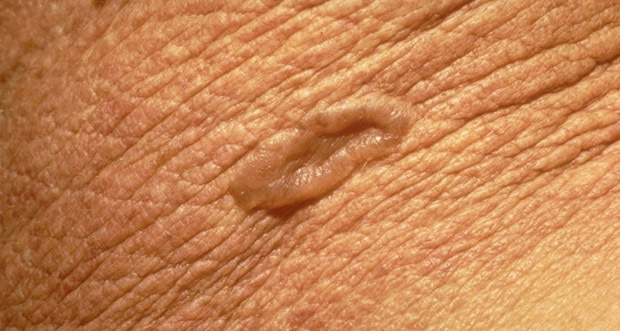 Some are crusty and scaly reddish nodule, some may also appear as irregular, crusted erosion companied with ulceration, bleeding and itchiness. 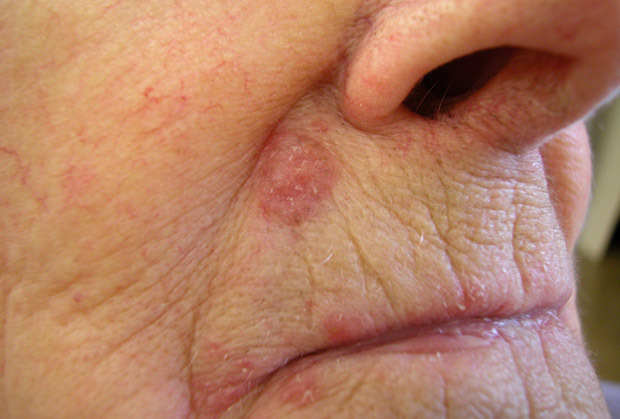 Without proper treatment, squamous cell carcinoma may bring you a very messy situation. But it is less dangerous than a melanoma. Melanomas are mostly seen on the skin of exposure to sunlight, such as the upper trunk, head and neck regions, also on the lower extremities, particularly in women. 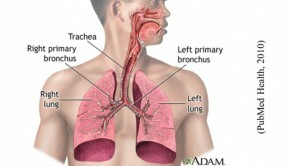 It can also occur on other regions of the skin. Melanomas may appear on the palms and soles or tissues of the nail for people with darker skin tones. 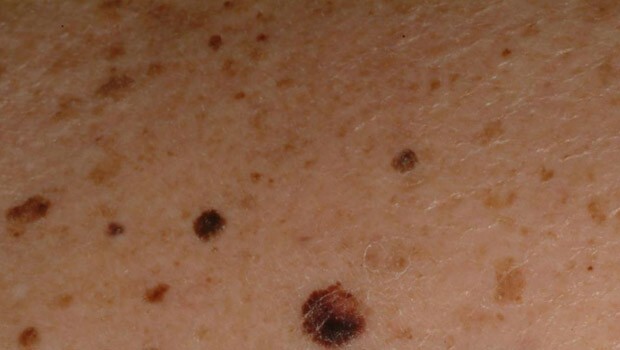 Mostly, melanomas are appearing as lesions varying form brown to black looking. 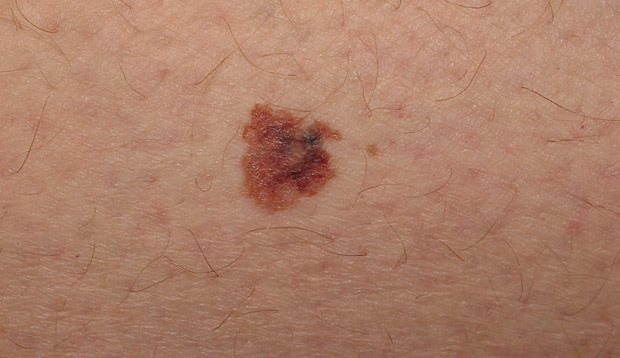 Melanoma may also present as irregular pigmented spot, a brownish spot with darker border or bluish- white patch. Unfortunately, a few uncommon melanomas are pinkish, purplish, these are called amelanotic melanomas which may be more difficult to deal with. People should be alarmed by the signs of change in the size, shape, color or elevation of a mole. Other warning signs are the emerging of a new mole, pain, itchiness, ulceration and bleeding.